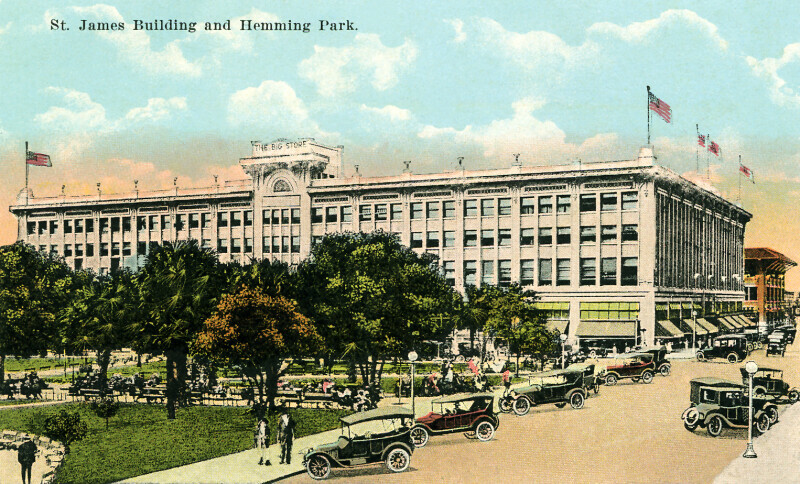 This scene provides a view of the St. James Building, and the northeastern corner of Hemming Park. The St. James Building is four stories high. There are people sitting on backed benches in the park. There are cars, parked at an angle to the street, outside the park. The St. James Building is on the National Register of Historic Places. WARNING: You are about to download a 3.7 MB TIFF!